Mrs. Mom is not a, shall we say, less than fully intelligent person of flaxen colored hair. She’s usually very intelligent. Even Mrs. Mom has her moments. We finally made it all the way around the World Showcase and walked into the Canada Pavilion. We trudged down the hill to the dungeon that houses the movie O Canada. At the end of the movie Martin Short says something like come visit us in Canada, just go to the big silver ball and turn left. We started walking out of the movie and Mrs. Mom suddenly made a right turn. (THE PLAN called for a left turn.) After a couple of minutes of following Mrs. Mom around, we asked her where she was going. I’m looking for the big silver ball, Mrs. Mom said. I’d love to say the Dad and the kids lovingly, quietly told Mrs. 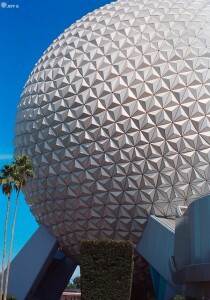 Mom that Mr. Short was talking about Spaceship Earth, but no … we hooted and shouted and laughed in her face. What can I say, that’s how we roll. You PROMISED that you would never tell anyone what I did!!!!! MMM??? Somehow my recollection of the what I “PROMISED” is not quite the same as yours.